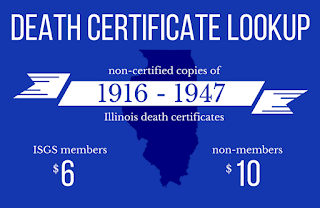 The Illinois State Genealogical Society (ISGS) is happy to announce that registration for the 2013 ISGS Webinar Series is now open! We have a fantastic lineup of presentations and speakers and we hope you will join us for a wonderful educational experience. A webinar is a live lecture/presentation that you can attend via a computer with an internet connection. ISGS offers the live broadcast of its webinars to the public for free. The live broadcasts are held on the second Tuesday of each month at 8:00 PM Central. For ISGS members who are unable to attend the live session, recordings of all past webinars are available through the Members Section of the ISGS website, to watch at your convenience. Note: All webinars take place at 8:00 PM Central.